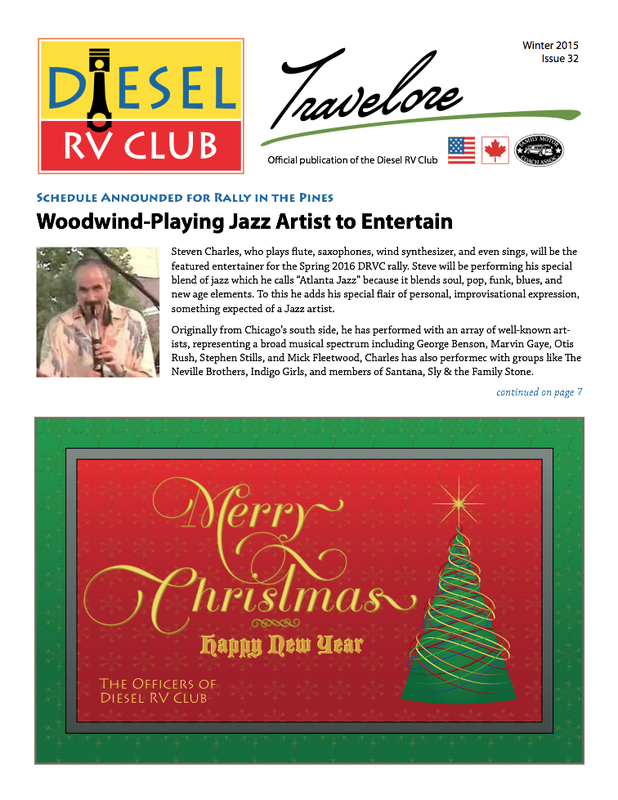 Axles, Engines, EPA and the Motorhome Chassis. 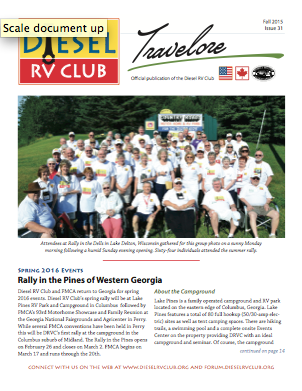 This issue provides information on the Rally in the Dells, July 12 - 17, 2015, to be held at Country RV & Motorhome Resort, Lake Delton, WI. 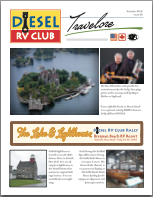 It also includes informative articles on coolants, RVillage (an alternative social network for RVers) and updated Valued Partner information. 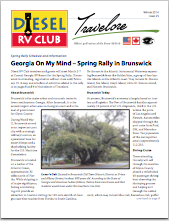 This electronic only issue is available in PDF (for download) and FlipBook (for online viewing) formats. 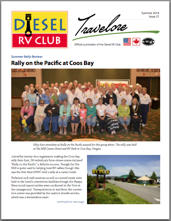 The Spring issue of the Club’s newsletter primarily covers the Summer Coos Bay, Oregon Rally on the Pacific, July 27 - August 1 along with images taken at the successful Brunswick rally, the Chapter's 10th Anniversary Certificate presentation and other Chapter news.